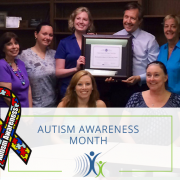 Events, happenings and important dates of the Jacksonville Speech & Hearing Center of The First Coast. 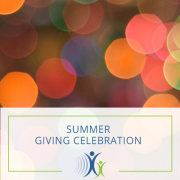 The Jacksonville Speech & Hearing Center (JSHC) is excited to announce its Summer Giving Celebration event, taking place on Wednesday, July 25 at the Center’s 1010 N. Davis Street location from 5:30 pm to 7:30 pm. The celebration will honor the generous donors whose support helps make the JSHC’s mission possible. 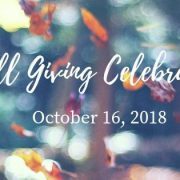 Special guests will include Bill Shelton, the Joseph and Gertrude LaRose Foundation, the organization’s inaugural 1010 Society Members, Sharon Kesler, SLP, and Cathy Howland. 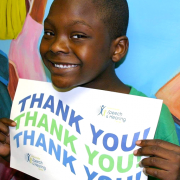 The evening will culminate in a room dedication ceremony honoring the extraordinary contributions of the Center’s longtime partner, Haskell. 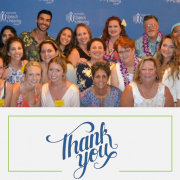 Thank You for Making FinFest 2018 a Success! 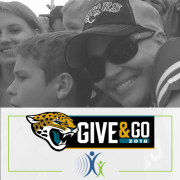 FinFest Chairs Tom and Kathy VanOsdol, and generous sponsors, donors, attendees and Board Members, helped to make FinFest 2018 our most successful ever, giving us a record $156,252 to help Jacksonville Speech & Hearing Center serve Northeast Florida residents with communication challenges! 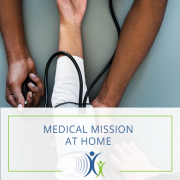 We are proud to partner with St. Vincent’s HealthCare for the Medical Mission at Home event taking place Saturday, April 14 at the Prime F. Osborn III Convention Center. 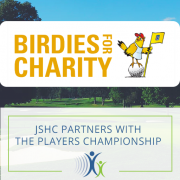 The Jacksonville Speech & Hearing Center is partnering with The Players Championship to raise funds through the BIRDIES FOR CHARITY program.